This entry was posted in Computer Graphics and Animation on November 3, 2016 by saadchaudhryme. The theme for this assignment was ‘Out of Time’. I decided my animatic would be targeted at children between the ages of 2 to 4 years. Animations, which have characters children can identify with are very popular. For example ‘Peppa Pig,’ ‘Curious George,’ and ‘Max and Ruby.’ (Babble, 2011). Peppa Pig is targeted towards pre-schoolers and is shown in 200 countries around the world. The illustrations are simple drawings using a colour palette that is appealing to the eye. Each episode of Peppa Pig lasts about 5 minutes just enough time to hold a young childs attention which can last between 3-10 minutes (Day to Day Parenting, 2009). I wanted a character that children could relate to but one easy enough to illustrate. Robots have been used in a variety of animations and movies throughout history and have been very popular. 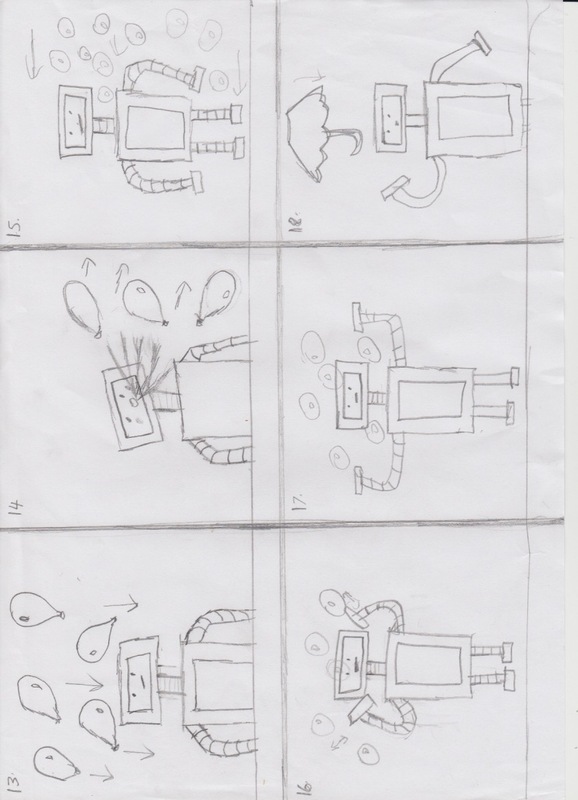 I decided to use a robot for my animation but to keep it simplistic in its detail. Leading on from this and the obvious knowledge children enjoy playing with toys I decided to set my animation in a toyshop. I wanted to have an interesting storyline but simple to understand, though I didn’t want to insult children’s intelligence because even at a young age they have an inquisitive mind. 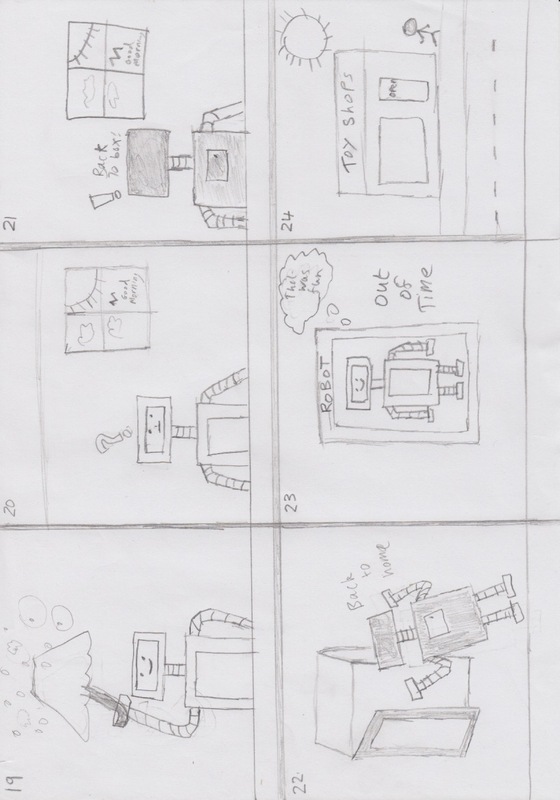 My final idea will be a robot who wakes up and comes to life during the night when the shop is closed. He comes out of his box and sees a toy car on the floor. He pushes it back and forth and all of a sudden he pushes it away. Instead of the car coming back a ball comes bouncing back in its place. This theme of another toy coming back instead of the original he pushes away is a recurring theme throughout the animation. Children will understand the idea and will be curious to see which toy replaces the one before. After playing with the ball he throws it up in the air and in its place some balloons come down. He blows these away and some bubbles come blowing across. He moves his arms around and the bubbles burst creating water drops. An umbrella comes down which he holds to avoid getting wet. Background sounds indicate it is now morning and the robot realises he is out of time to play. He races back to his box and goes back to sleep before the shop opens for customers for the day. 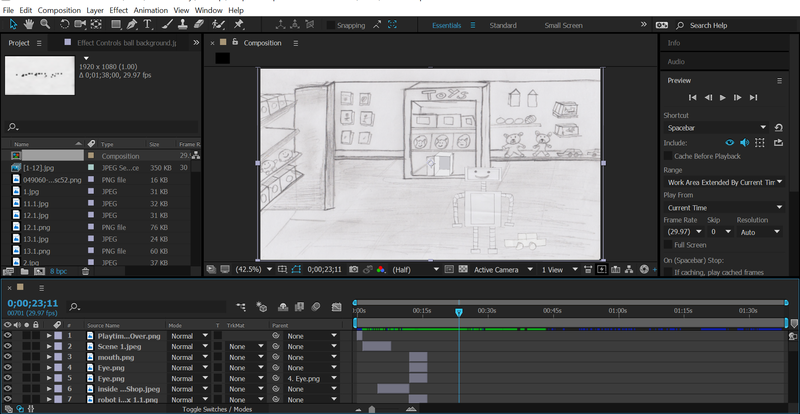 The animation ends with a shot of the shop front during the day. 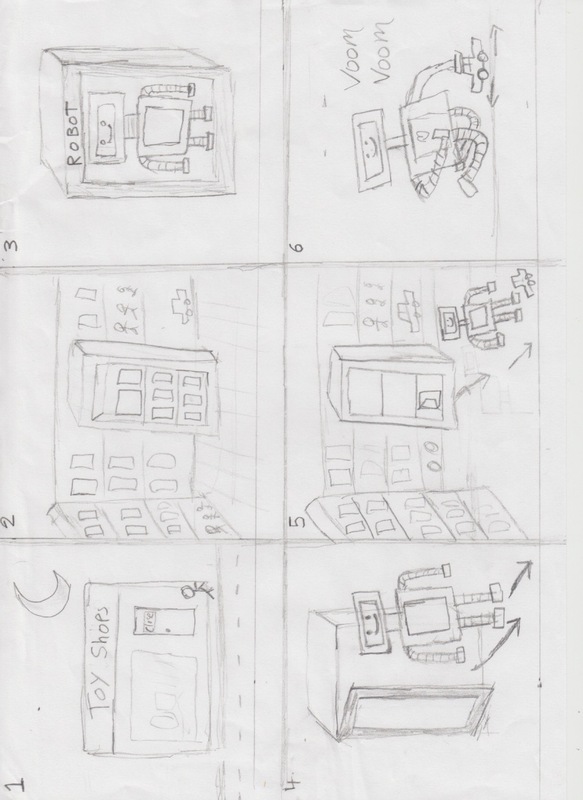 I used an upbeat soundtrack, which children can identify with and also works in sync with my animatic. I also added several other sound effects including bubbles bursting and car noises. My ambition is to complete this animation using both 3D and 2D animations. 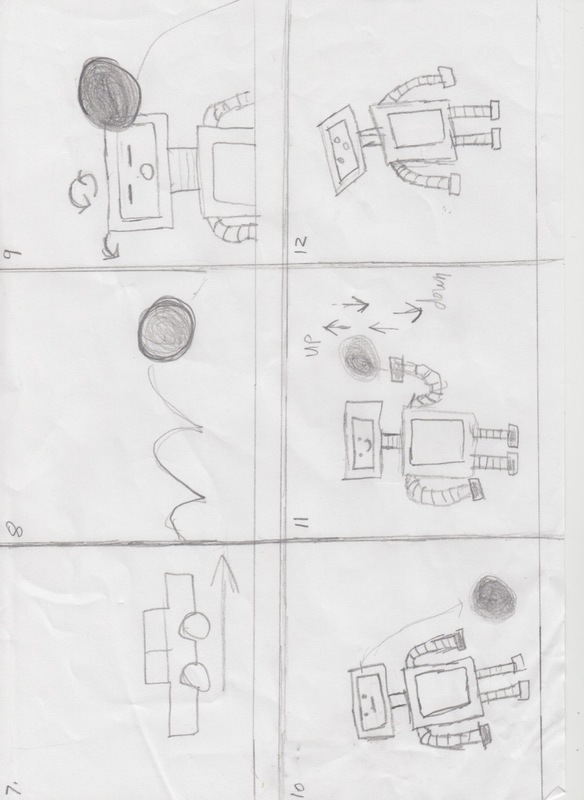 The robot and toys will be made in 3D using Maya and the background images created in 2D with Illustrator.